BuzzVoice lets you listen to your favorite websites. Yes, listen. Every other weekend, I spend 14 hours in the car. Between 7 hours on Friday and 7 hours on Sunday, that’s a lot of free time. Often, I’ll fill that time by catching up on podcasts or some other sort of listening, but I really feel like it could still be time better spent. Clearly, browsing news stories while driving isn’t exactly the best idea, so I needed a better way. I think I just found my way to spend my time more wisely: BuzzVoice. Trending Topics – What’s hot around the world? Find out. There are a couple of BuzzVoice versions. The Lite version, for free, gives you top celebrity news from around the Internet. The full version will cost you $4.99, but gives you the 1,600 sources and full function. 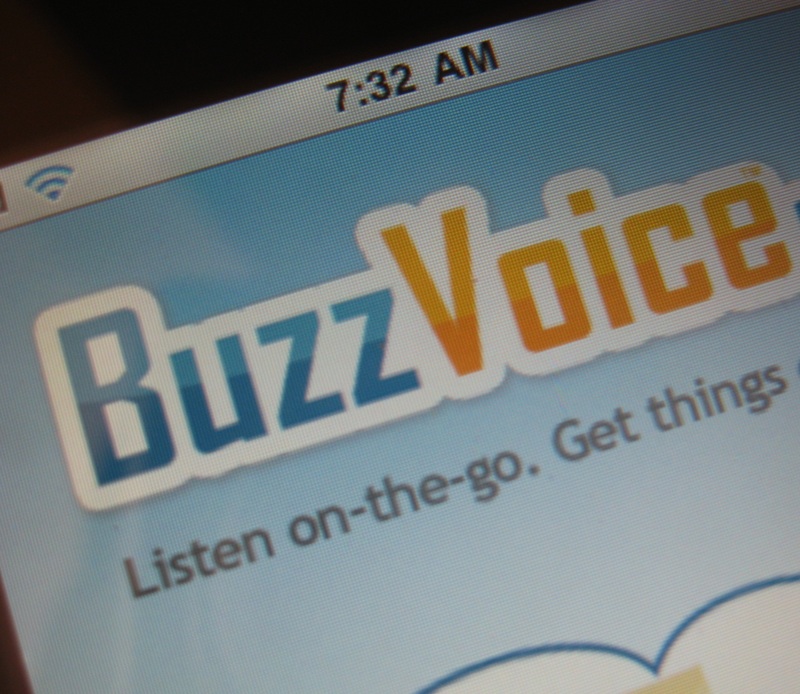 It’s absolutely worth a look, and we expect to hear more about BuzzVoice in the future.